GameGuru Sci-Fi Mission To Mars Pack DLC updated! We are pleased to announce that the GameGuru Sci-Fi Mission To Mars Pack is the next of our DLCs to receive a fully upgraded addition to it's roster. 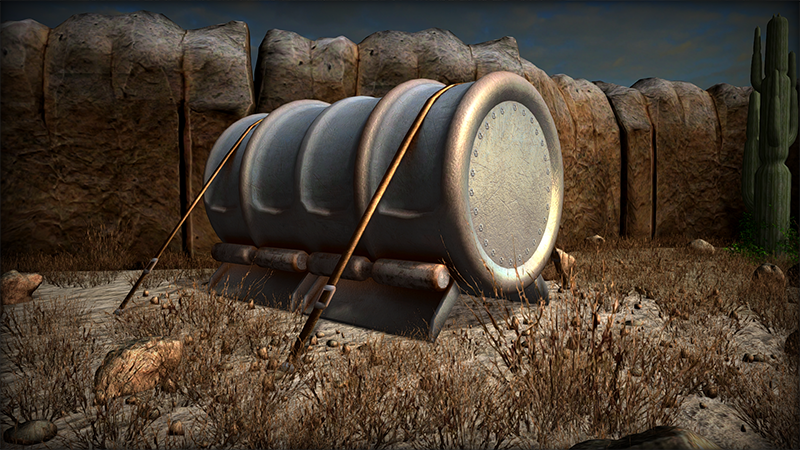 The Supply Tank shown below has had it's geometry modified and it's texture completely redone from scratch using the latest tools and techniques. An excellent addition to any scene and a taste of things to come in 2019.